DOWNLOAD THE FREE PROTOTYPE NOW! Select and IndieGoGo Perk and back this game! 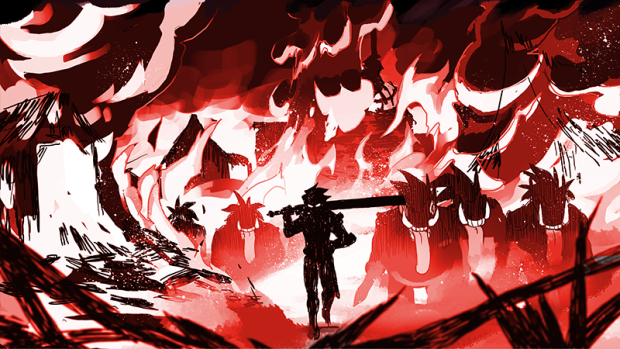 Indivisible is inspired by classics like Valkyrie Profile and Super Metroid, but with the unique character, world, and gameplay depth Lab Zero is known for, and will feature a stunning soundtrack by legendary Japanese game music composer, Hiroki Kikuta. This is a fixed funding campaign, which means Indivisible will only happen if we reach our goal. 505 Games has generously agreed to contribute a further $2 million toward its development only if we reach that goal. So for us here at Lab Zero, your contribution counts for more than double! 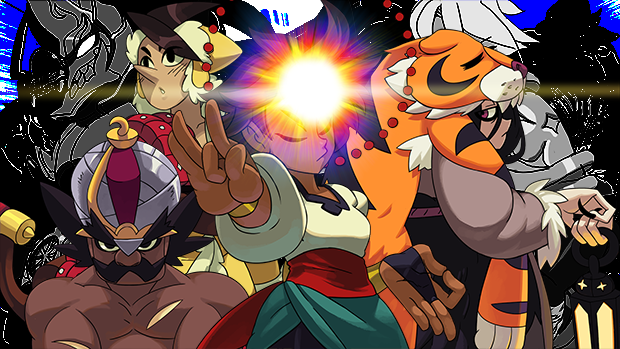 If funded, Indivisible will be released on PlayStation 4, Xbox One, and Steam Windows / Mac / Linux. The final product will support the English, French, Italian, German, Spanish, Japanese and Russian languages. 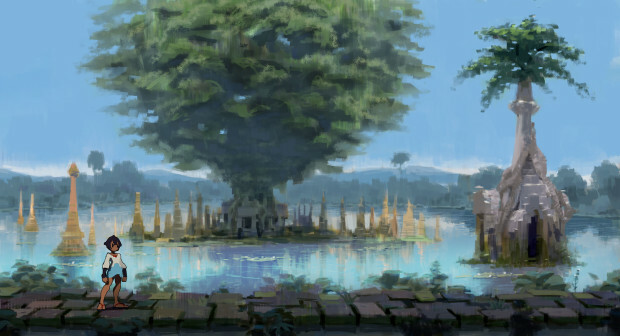 Players will navigate beautiful environments using a variety of different traversal abilities, and engage monsters in fast-paced combat. 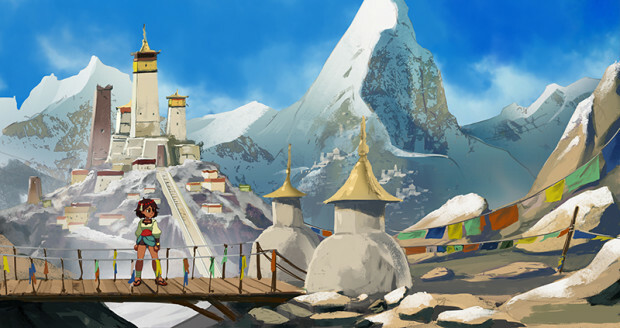 A good-natured tomboy with a rebellious streak, Ajna was raised by her father on the outskirts of their rural town. Her father raised her to be fair-minded and tough, and trained her in martial arts so that she might defend their home. When their town is attacked by local warlords, Ajna discovers a mysterious power – the power to absorb certain individuals into her being. Furthermore, fusing with these “Incarnations” will not only allow her to summon them into battle, but also grant Ajna new weapons and abilities. Determined to confront the warlords and find out more about these strange new abilities, Ajna sets out on a globe-spanning quest that will reveal her true nature and much more. 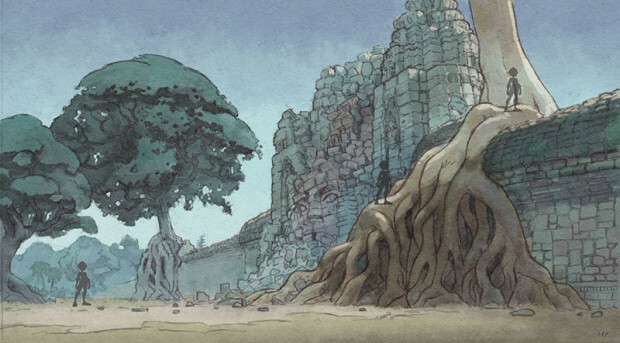 While Indivisible’s thematic core is inspired by Southeast Asian mythology, the game is full of lands and characters inspired by a variety of cultures and myths. 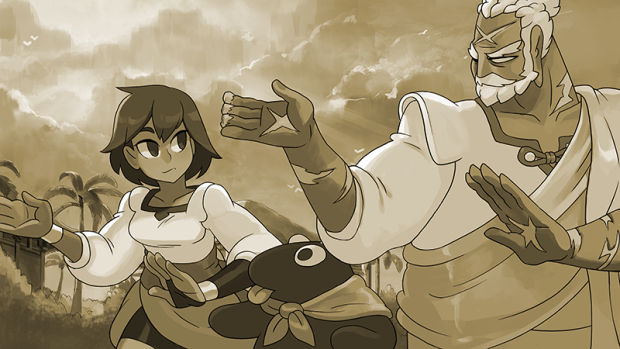 Get more info on the engine, process, and pick a backer perk at the IndieGoGo page for Indivisible RPG.